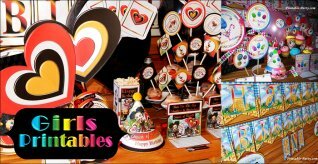 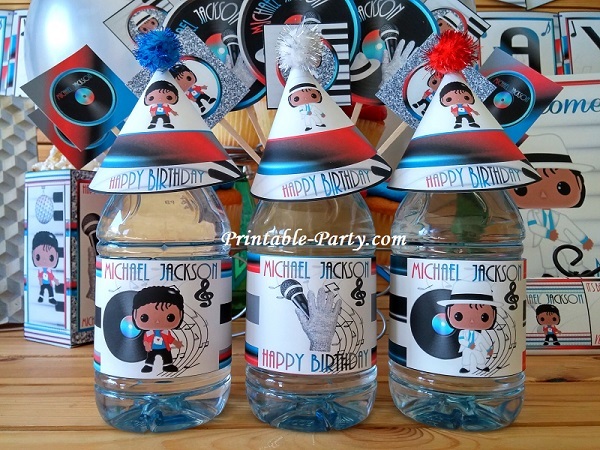 Inspired by Michael Jackson birthday party decorations for a unique looking celebration. 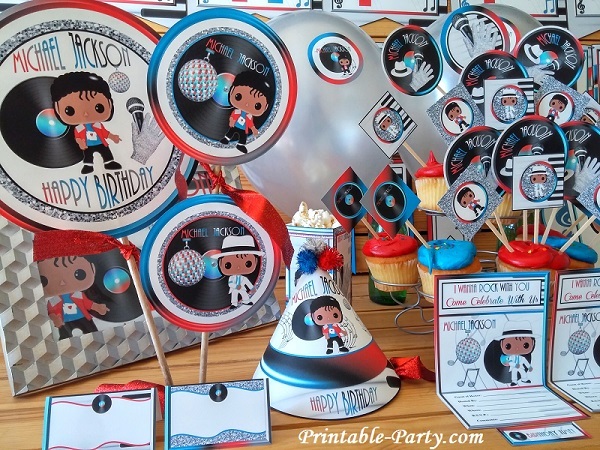 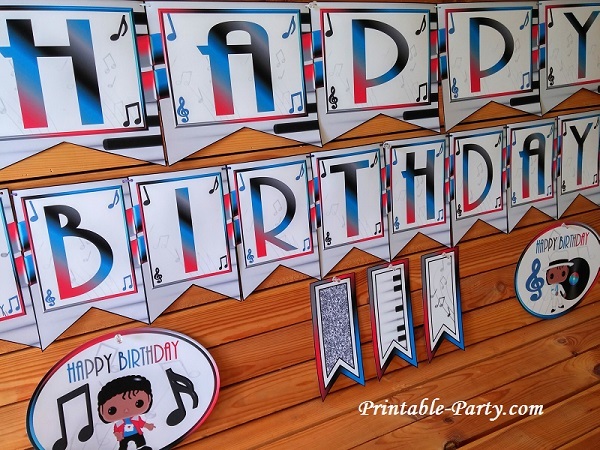 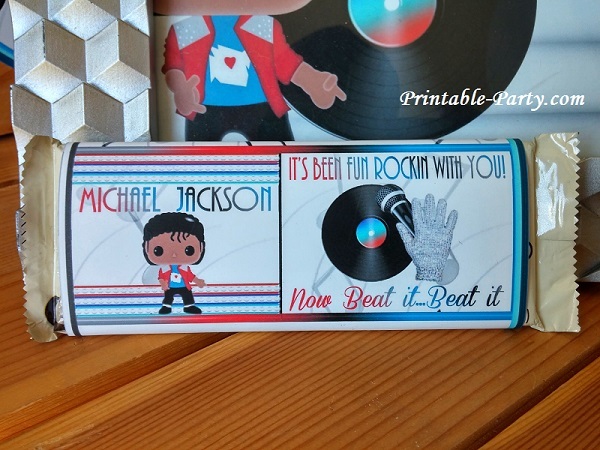 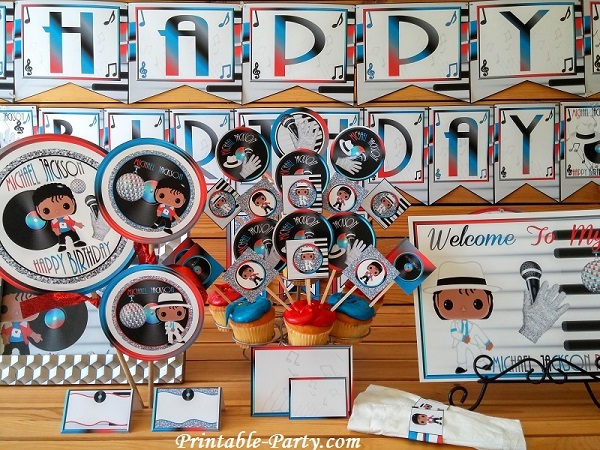 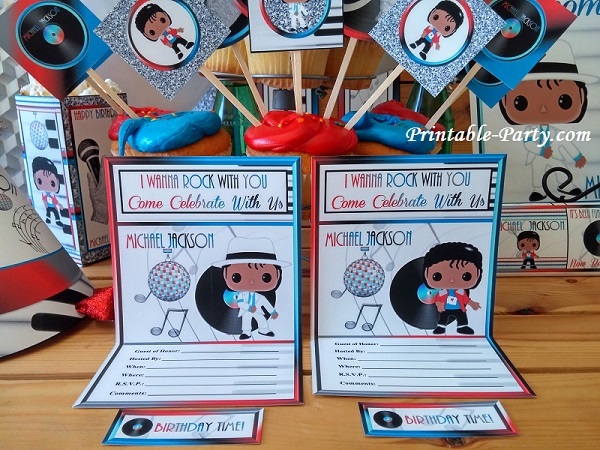 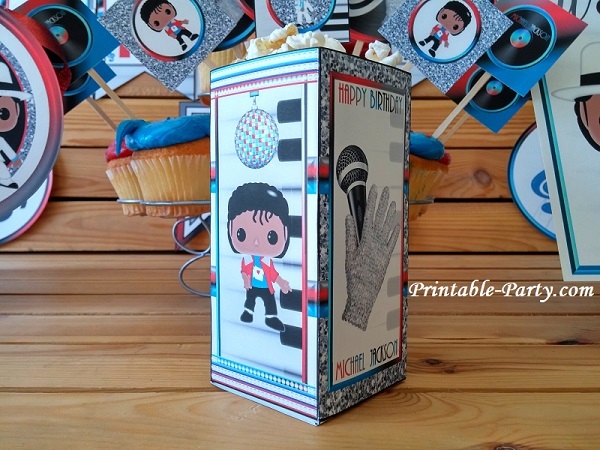 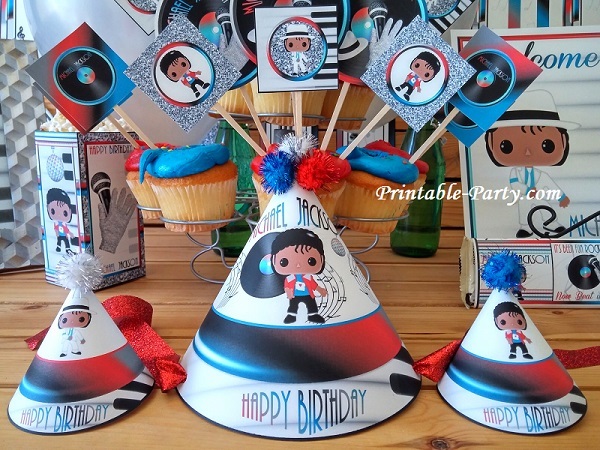 Celebrate your next birthday party by using a cool theme that is inspired by the king of pop. 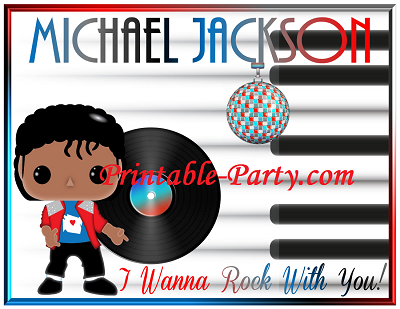 Rock with your friends & party guests to an M.J. beat when decorating with this musically designed theme. 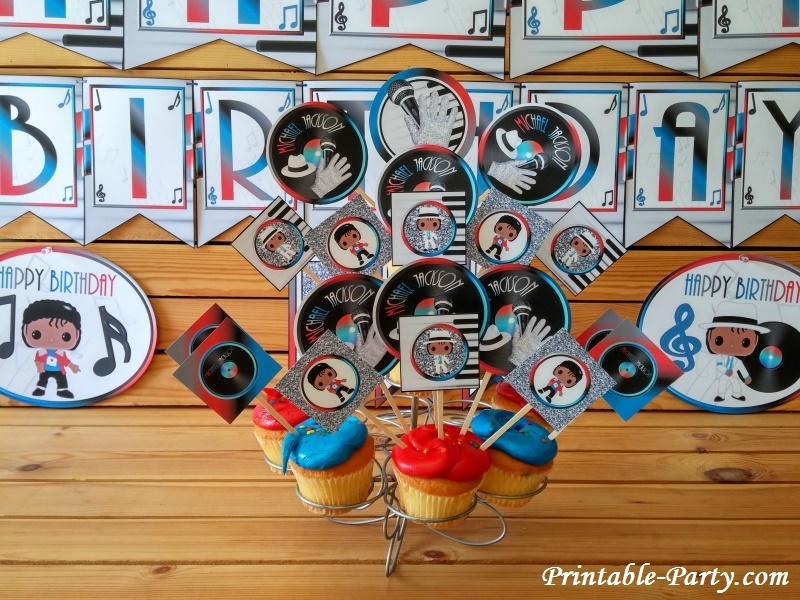 There are cool graphics of records, piano keys, music notes, disco balls, fedora hats, sparkling gloves, & more. 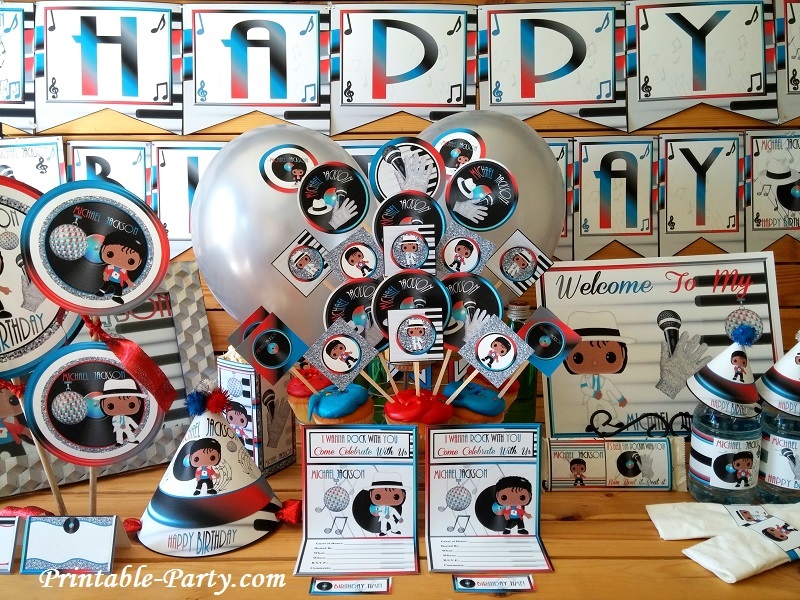 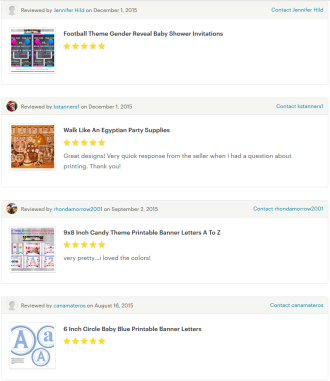 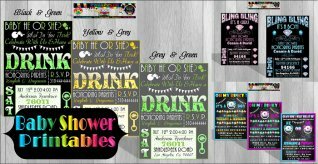 This theme is blasted with wonderful colors of blue, red, grey, silver glitter, & black. 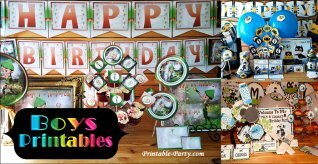 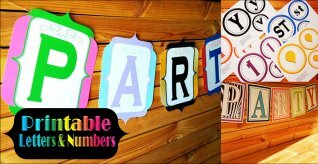 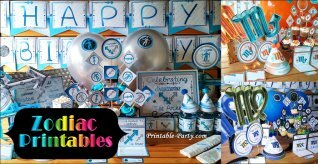 Great colors so that you can incorporate balloons, streamer, tableware, & more to match these stylish decorations.